It's a whole new world of employment. The changes that have taken place since the dawn of the Internet require a new perspective when it comes to finding a job. Ginny Clarke, the founder of Talent Optimization Partners and author of CAREER MAPPING: Charting Your Course in the New World of Work, shares her insights for developing and pursuing the job of your dreams. LoveToKnow (LTK): How is the current career landscape different from the past and how does this affect job seekers? Ginny Clarke (GC): The landscape is different in that there will likely be fewer traditional jobs going forward than there are workers. Organizations are learning to do more with fewer employees, but that doesn't mean they don't need consultants who specialize in certain functional areas. I think we'll see an increase in sole proprietors (contractors) and small businesses. Employment tenure is also shortening, so individuals who do have jobs can't expect to stay as long in one job as their parents might have. This might be of the employer's choosing, but it might also be of the employee's choosing in order to continue gaining skills and experience. Finally, the workforce is operating in a global market which means you might have to be willing to move to other parts of the world to do the work you want to do. LTK: You refer to the "vague longings" individuals often have for a dream job . Do you have any practical tips for turning these vague longings into a concrete career path? GC: I urge people to think beyond what they have done in the past. Surrender to your dreams and longings, and explore how to integrate them into something that can provide a living. Remember that you don't have to do the same thing forever. Consider this a journey during which you expand possible options with each new experience and set of competencies. My career mapping framework is intended to assist people in realizing their dreams by bringing their longings into focus and implementing strategies that can grow and change with every new stage in life. Keep in mind that your longings might not play out in your work life, but could be addressed in your personal life. LTK: Given the current world of work, what are a few techniques that job seekers can use to identify workplaces and positions that will meet their needs? GC: Start by identifying your personal and professional needs based on what you currently bring to the table and what your short- and long-term goals are. Do your homework to create a viable list of companies within your target industries. Make sure these companies offer positions you're interested in, are located where you want to live, etc. In other words, have a rationale for why these companies are appealing to you. Create prototype job descriptions for yourself by finding various job descriptions from your target companies' web sites, then matching your competencies with what they're looking for. Don't apply to these jobs just yet; get smart first. Once you have these prototypes laid out, you can approach these companies for opportunities, even if they don't have posted openings. LTK: You talk in your book about being a "free agent". How is this different from the mentality of a more traditional job seeker? GC: It is completely flipping the script. Most job seekers wait to be chosen for a job. I am suggesting that you choose; create and pursue things that make sense for you based on your goals, competencies and values at this point in your life. Find companies that are worthy of you and that meet your needs. You and the company are better off if you are bringing more conscious, deliberate thought to your position. 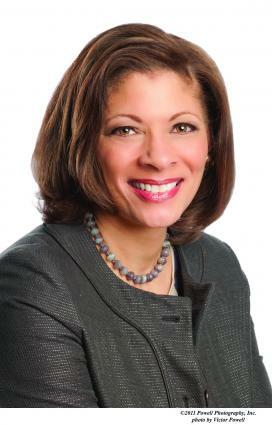 You know your value and are empowered with the ability to determine your needs and objectives. It doesn't mean you are disloyal to the company you choose to work for, just that you know what you want and aren't waiting for it to come to you. Go out there, ask for what you want and always remain mindful of new possibilities. LTK: Many people are looking to change careers or to pursue a career in a field different from their field of education. What are some effective strategies that job seekers can use to make themselves more competitive in a new career field? GC: My career mapping process is perfect for career changers, or as I call them "Detour" people. You have to compel a prospective employer (or investor if becoming an entrepreneur) that you have the competencies for the role, even if you don't have the experience. This means that again, you do your homework to know what competencies are required. These are not the responsibilities or past experiences, but the skill elements that you can lift from other roles you have performed to apply to this one. The onus is on you to do this since most people want to just scan resumes for relevant experiences and titles. Building a resume to include functional highlights as well as chronological descriptions focuses the reader on competencies first, then experience. LTK: What are some of the most effective strategies job seekers can use when it comes to resume writing and interviewing? GC: In terms of resume writing, it's beneficial to create more than one resume. Develop a different resume for each of the two or three functions or industries you have chosen to aspire to. You can start by developing a lengthier base resume that contains all of your accomplishments and responsibilities. Update this base resume at least once a year. For each role you hold (even within the same company), describe your responsibilities in a short narrative, including reporting relationships, direct reports, etc., then list in bullet form 3-5 accomplishments. Keep the formatting simple and legible. Once you've created a base resume, it will be easier to develop shorter, industry-specific resumes that you can send out to your preferred employers. During an interview, the key is to know yourself. Refer back to your career map to review your key messages and competencies. Practice and perfect an elevator pitch and be prepared to extend it as an intro during an interview. Do your homework so you know as much as possible about the role, the company and the individuals you will be interviewing with. LTK: Do you have any other important career mapping tips? GC: Networking is a critical element of the career mapping framework. Relationships are your best resource for identifying new opportunities and enhancing your career progression. You can build a network throughout your work life with the eight different types of people I describe in my book. Network strategically and purposefully based on your career map; know what you need from someone and know what you can offer them. Learn the art of reciprocity and staying connected to people when you don't need anything. 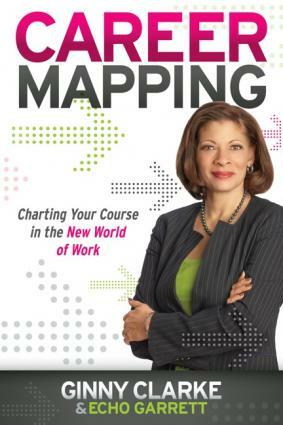 To learn more about career mapping and to find more tips from Ginny Clarke, visit MyCareerMapping.com. You can also join her Facebook, Twitter and LinkedIn networks by accessing the website. Remember, the more you network and develop professional relationships, the more prepared you'll be to pursue the career of your dreams.